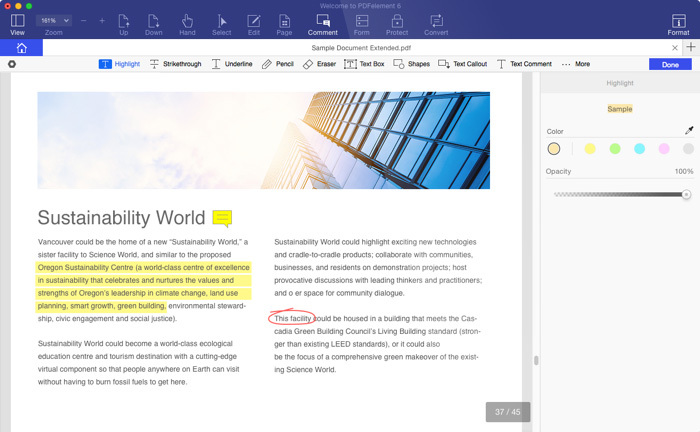 • Edit and annotate PDFs quickly and easily. • Full compatibility with macOS 10.14 Mojave. "Whether you’re looking to edit PDF files or digitize your business, PDFelement is the best tool for the job." Edit PDFs. Fast, Easy, and Smart. 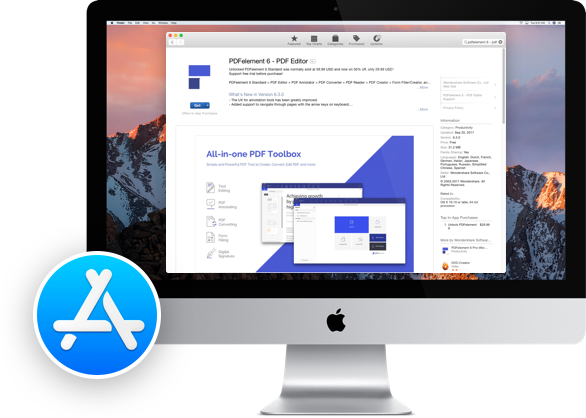 PDFelement for Mac offers the easiest way to edit PDF documents, including text, images, pages, links, backgrounds, watermarks, headers and footers. Edit text with intuitive paragraph and single line editing modes, and adjust font type, size and style. Add, copy and paste, remove, rotate, extract, replace, or crop images. 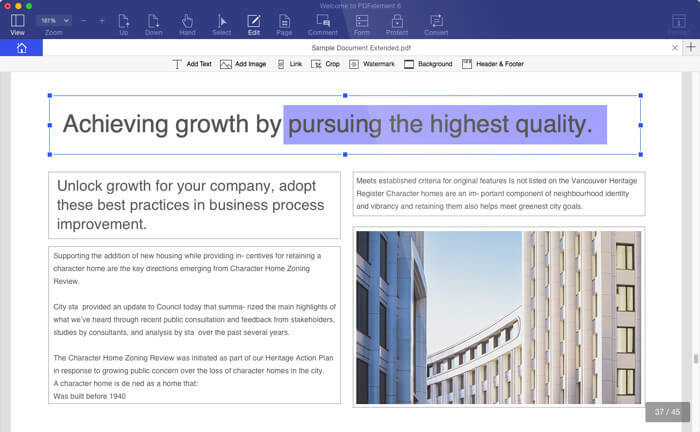 Crop, insert, extract, replace, and split pages easily. Adjust page boxes or add page labels. Annotate PDFs. Collaborate Ideas and Information. The ability to add sticky notes, comments, stamps, text boxes and personalized drawing tools for easy memorization and collaboration. "This program makes editing and converting PDF documents feel so easy!" 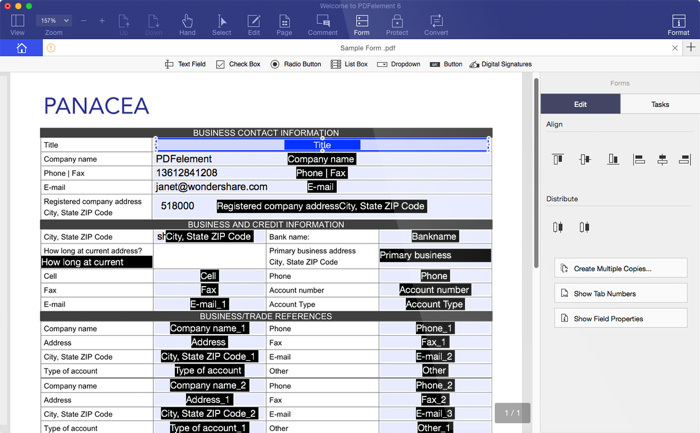 Create fillable PDF forms with all kinds of interactive form controls. Fill out PDF forms easily, including business forms, tax forms and more! "My friend recommended this program to me, and I'm so glad he did! By using PDFelement, I was able to create a perfect resume which helped me land my dream job. I've already recommended it to my other friends." Protect sensitive PDF content with passwords and permissions. Share PDFs to Dropbox. Sign with digital signatures. "I'm very happy with this program. It's one of my all-time favorite apps." PDFelement for Mac is also available from Mac App Store. Get it today. 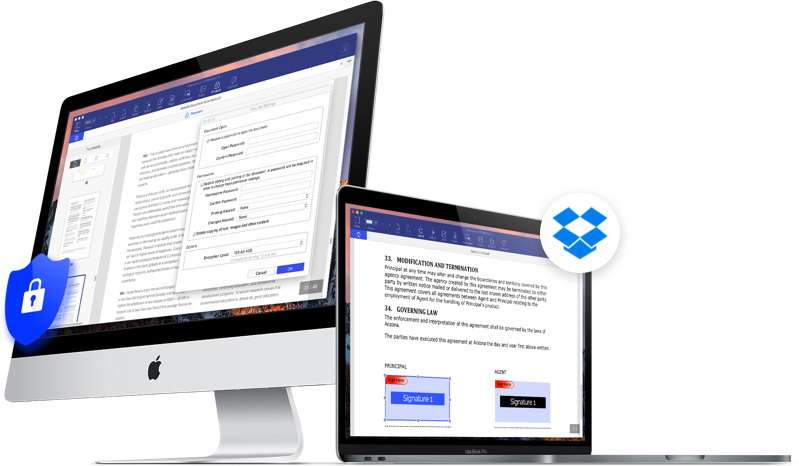 With intuitive design, robust features, and an affordable price, PDFelement offers the most sophisticated yet easy-to-use PDF solution on Mac. PDFelement makes working with PDFs simple. It is an excellent partner for business or study, or for editing forms for a trip. It's an excellent alternative to Adobe Acrobat. Whether you're looking to edit PDF files or digitize your business, PDFelement is the best tool for the job.